Coperion has optimized its ZVB rotary valve design. In response to the high demand for gentle handling of food and pet food products, Coperion has optimized its ZVB rotary valve design. The modifications have been engineered to provide the gentlest mode of material handling, while maintaining the strict sanitary standards of the food and pet food industries. The improvements include the lower overall weight while maintaining the same robust design, optimization of the housing wall thicknesses, increased inlet cross section, and especially an optimized inlet geometry for fragile food materials such as pet food kibbles, roasted coffee, and finished cereals. This combination results in a much gentler handling and introduction of product to the rotary valve. 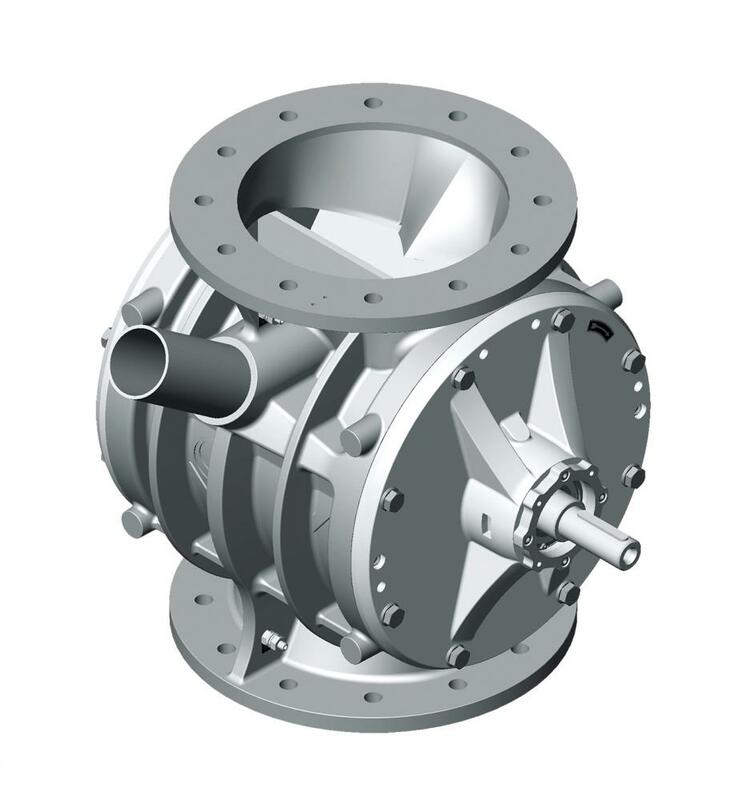 The increased “anti-chopping” inlet deflects the product into the rotating rotor chambers of the rotary valve and avoids that the product is damaged by the metering vanes. Several tests with customers have shown a significant reduction in product degradation of fragile and sensitive materials such as pet food kibbles, compared to common rotary valves with standard inlet geometries. Furthermore, an improved overall capacity through the valve is realized by the larger, optimized inlet cross section. In addition to the modifications outlined above, the Coperion ZVB rotary valves are also available in Coperion’s design for wet cleaning (e.g. clean in place). The overall design is engineered to provide optimum operational reliability for sanitary production. In addition to including materials of construction and design for use with cleaning agents or hot water flushing, the valve can be equipped with flush end sealing at the inlet and outlet and between side covers and the housing.